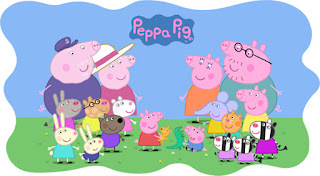 We've taken to liking some unconventional cartoons in our house -- thanks to YouTube! I'm not even sure how these two stumbled on these cartoons from other countries, but I know that they will watch them in English or any other language that they find... they just don't care. It's amazing. I think it would make me crazy to not know what they are saying. Masha and the Bear was the first one that Tyler found, and loved it... and it was completely in Russian. I don't think to this date, we've found an episode of this one that has been translated to English. 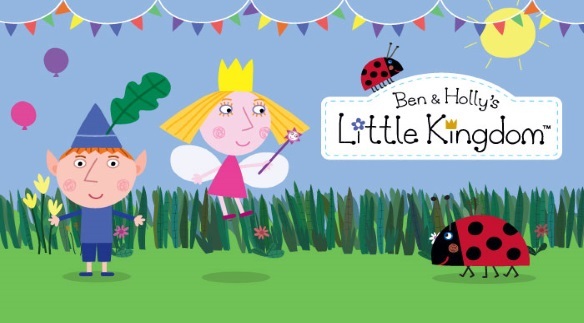 Next up, we added in Ben & Holly as well as Peppa Pig - which is in English - but is more formal than what we have here in the US. So the boys started saying "quite" a bunch, and instead of vacation they would say "holiday." They also changed Santa's name to "Father Christmas" for a year or two. These boys crack me up! 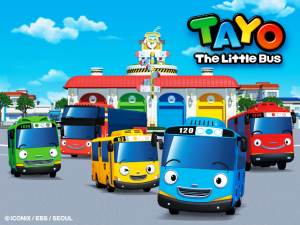 Somewhere along the way they picked up Tayo the Little Bus from Korea, and literally for months that was all they would watch. It was cute, and had a lot of English episodes -- so they learned a bit by watching it about problem solving and being a good citizen & friend. Doesn't hurt that they are little buses and all sorts of other vehicles -- so it's perfect for a boy. They've also got an app or two that the boys were able to put on their iPads and enjoy. 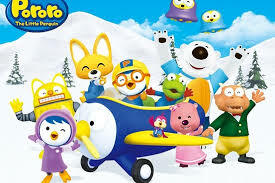 Finally, we've added Pororo (which they say "Pododo") and they enjoy these cartoons so much too - I'd say it's our newest and most recent Korean cartoon love. These sometimes have some questionable content, but if you don't mind potty humor -- hello, we have two boys -- it's not that bad. Some of them are really cute and endearing. The most recent thing they've gotten is the Pororo Penquin Run app -- and I'm telling you these kids are hooked... well, lets be real - the 42 year old kid in the house is hooked too. It's their first real taste of a video game, and they love it. Thankfully, the game works on hearts that you earn over time... so they can play 6 times and then they have to wait about and hour or so before the hearts are fully restored again. So that does help with learning how to be patient. Although, John plays every night after they go to bed -- racks up about 30,000 or so coins, and within about an hour of them waking up -- they burn through all of the coins! It's a vicious cycle that plays out daily. I'd like to think that these cartoons from all over the World gives the boys a bit of a worldview in learning different cultures, but really I'd just be happy if they learned some good citizenship skills from watching these. Ha, so funny that your boys like so many international cartoons! 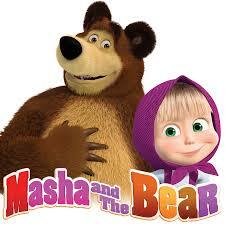 I feel like I've seen Masha and the Bear on Netflix...now I'm going to have to check to see if it's in English.